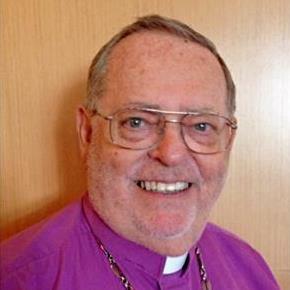 Philip Weeks is the retired Bishop of ICCEC Missions. He currently resides in Lynchburg, VA.
Bishop Gregory is the Bishop of the NorthEast Diocese, and rector of the Cathedral of Christ the King, in New Paltz, NY. David Simpson is the Bishop of the Diocese of Florida, and the rector of the Cathedral Church of the Resurrection, in Miramar, Florida. Bishop David Epps is the Bishop of the Mid-South Diocese and the rector of the Cathedral Church of Christ the King, in Sharpsburg, Georgia. Douglas Kessler is the Bishop of the Diocese of the West and the Rector of the Cathedral of Saint Michaels in San Clemente, CA. Michael Davidson of the Bishop of the Central Diocese and the rector of the Cathedral Church of the King, Olathe, KS. Eugene Lilly is a Bishop in residence in the USA and is the Bishop of the Diocese of Southern Mindanao, PH.